Earlier this year there was a failed coup attempt in Turkey, which sought to oust President Recep Tayyip Erdoğan. Since then, Turkey has pretty quickly become an oppressive and scary place to live unless you are a vocal supporter of the President. One of the myriad of tools Erdoğan has been using to control his citizens and purge any potential opponents to his rule has been online censorship. Various popular sites, such as YouTube, Twitter, and other Social Media outlets have been blocked at one time or another (some still are) and internet outages are also not unknown. But last week the Erdoğan regime went one step further. They have begun to totally shut down online access in eleven south eastern cities. The decision is linked to the arrest of Diyarbakır’s co-Mayors, Gültan Kışanak and Fırat Anlı on terrorism charges. At around 10am last Wednesday, the internet connection was blocked in 11 cities; Diyarbakır, Mardin, Batman, Siirt, Van, Elazığ, Tunceli, Gaziantep, Şanlıfurfa, Kilis and Adıyaman. That blockage lasted for around 12 hours, but the following day it began even earlier. The blockage has been reported by the @TurkeyBlocks twitter feed which monitors online censorship in the country. They have estimated that blockage equates to the Government shutting down about 8% of Turkey’s internet infrastructure. The impact in this majority Kurdish area of the country should not be underestimated. Banks and pharmacies were left struggling to operate and many point-of-sale tills went down, forcing stores across the region to either resort to old-fashioned methods, or close. While the internet was shut down, Turkish police raided the Municipality building in Diyarbakır and arrested the two co-mayors. There is evidence of police brutality against both HDP politicians (a Kurdish Opposition Party) and human rights protestors. With the internet, down of course none of this could become public knowledge as it was happening. As word spread, there were protests in the city, but of course, these could not be reported on either. Attempts by the Turkish Government and compliant ISPs to brush the shutdown under the carpet were risible. Deputy Prime Minister Numan Kurtulmuş denied the shutdown was related to the arrest of Gültan Kışanak and Fırat Anlı, but failed to offer an alternative explanation. Meanwhile, Turk Telekom and Turkcell, two of the countries biggest ISPs claimed there had been a technical issue. But they couldn’t offer any further details or suggest when a fix might be available. One Turkish reporter from the Habertürk newspaper has reported [Turkish] that the order came from the Directorate of Security Affairs and was made using a post-coup Decree Law 671 which grants the Turkish regime powers to take whatever steps necessary on issues of national security and public order. The power is clearly grossly disproportionate and is being used by the Erdoğan regime to restrict his people’s rights to freedom of speech and freedom of expression. The reason behind it, and most of his actions since the failed coup is quite simply to shore up his own position of power. But the impact of his move on regular people, beyond the restriction of their rights, should not be underestimated. Many are unable to work, use pharmacies to get vital medication or undertake financial transactions. Some people have already been forced to travel to other cities where the internet connection remains to conduct urgent transactions. When there is an internet connection, it is heavily censored and under surveillance. But at least then users can log-on with a VPN to access information and post comments freely and without fear of retribution. When connection are cut altogether, even this option is denied to them and the ‘bull-in-a-china-shop’ approach can prove to be effective, if highly unpopular. 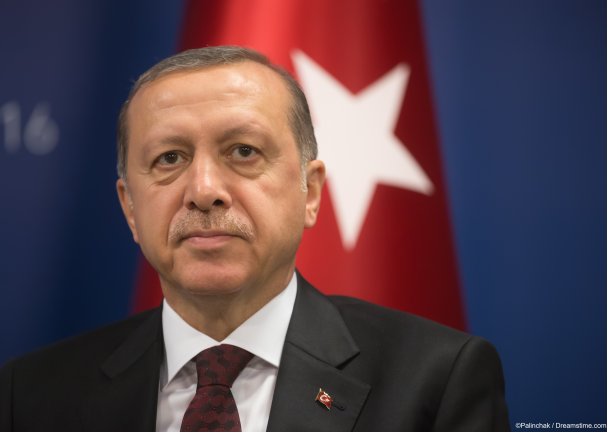 It is symptomatic of the stance Erdoğan has taken since the coup was put down, and in the foreseeable future, that stance seems unlikely to change.